← Robert Creeley: A Biography (516 pp), by Ekbert Faas with Maria Trombacco, McGill-Queen’s University Press (Canada) and University of New England Press (US), 2001. Predictably, this Nietzschean critique of idealist Western aesthetics has met with both praise and rebuttal. Professor Dabney Townsend, Director General of the American Society of Aesthetics, after reviewing Genealogy in the European Journal of Philosophy, April 2004, 12, 1,152-56) and calling its thesis “clearly and forcefully presented,” has since been evolving an “anti-Genealogy of Aesthetics,” and presented his findings at a 2010 seminar, The Genealogy of Aesthetics: An Attack, held at the Museum of Contemporary Art in Montreal. Within the history of aesthetics itself, Nietzsche has been an unwavering advocate of a ‘physiological aesthetics’ of this kind … The Renaissance brings some changes through secularization in the arts and the rise of artists such as Dürer, but the contemporaneous emergence of the new academies tightens, if anything, the reign of the existing aesthetic paradigms. Nevertheless, time and again the prescribed patterns are challenged and satirized by individual great thinkers: Montaigne’s unabashed claims made for pleasure; Bacon’s historical sense of an original inversion in aesthetic values; Hobbes’s empiricism; Shakespeare’s satire of academic values through explicitly sexualized language, and other cases. This countertradition carries with Feuerbach and Marx into the modern age. 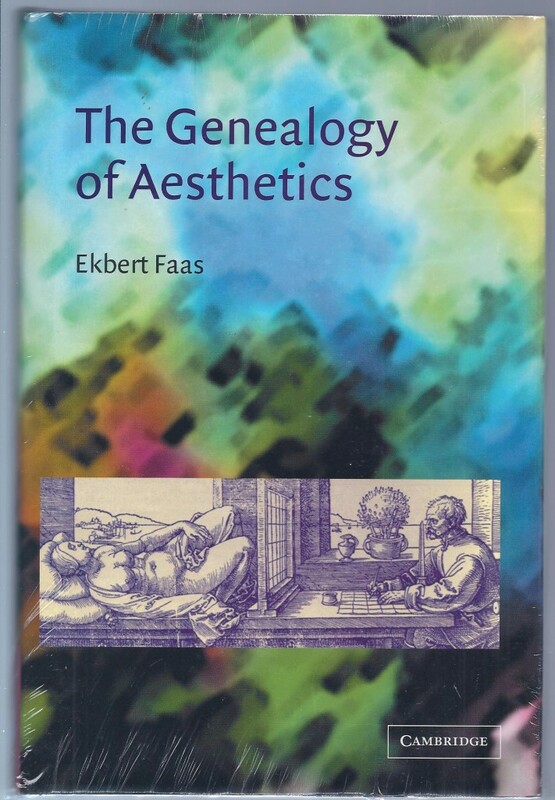 The latter, in turning Hegel’s aesthetics from its head back onto its feet, has his own ‘Nietzschean moment’ (chapter 13) in stressing the physical and sensory in aesthetics … In Faas’s discussion of postmodernism, which takes up a good third of the book, his analysis becomes more involved and detailed, more linguistic and philosophical, less historical and summarizing in an effort to reveal the continued, in fact intensified, drive of aesthetics into a nonsensory and transcendental direction. Chinese edition (Simplified Chinese): The Commercial Press, 2011.